Family Owned Office Cleaning Company with over 30 years experience, truly committed to providing a cleaning service that exceeds the highest of expectations. Prices To Suit Your Budget our charges for office & window cleaning in East & West Sussex are highly competitive and represent excellent value for money. Quality Staff You Can Rely On all of our Sussex cleaners wear a company uniform are fully trained and are subject to our strict employment policy. Fully Insured for your peace of mind our levels of cover for our cleaning activities in Sussex are public liability £5 million, employers liability £10 million. Health & Safety we comply with the requirements of the health & safety at work act 1974, provide full risk assessments, method statements and COSHH information. Friendly we are great people to deal with always looking to give our Sussex clients the very best office cleaning services. Call us now on 0800 010 6871 or click here. 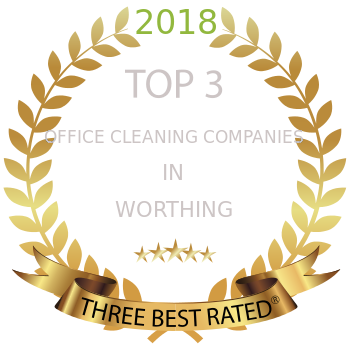 We are a professional cleaning company operating across Sussex since 2006 providing high quality office cleaning services to commercial customers across Sussex Our office cleaning processes are good for the environment and we carry out green cleaning in offices and factories in East & West Sussex. For all your office cleaning needs in Sussex call Smartclean, all of our cleaning operatives are fully trained and insured. You can be confident that our Sussex cleaners will meet all your expectations. Why not put our office cleaning experience, product knowledge and attention to detail to work for you and get a comprehensive cleaning solution you can count on. Follow these links for all the latest cleaning industry news & local area information and articles. SmartClean services the smart choice for commercial cleaning services in Brighton. A family owned business that has over thirty years of experience as office cleaners. SmartClean provides you with fast, efficient and regular service that frees you from having to manage your cleaning chores. As a company policy SmartClean practices and promotes green commercial cleaning methods and products that are environmentally friendly and safe. This is not only is beneficial to Brighton and the environment, it means that your employees and premises are also safe from harsh detergents and chemicals left behind in your office. We can provide our office cleaning services on a daily, weekly or monthly basis and we’re available both during and after normal office hours to meet with the needs of our clients. Our friendly and efficient uniformed staff are well-managed and trained and we provide on-site audits to ensure the quality of our services. Our workers are insured for public liability up to £5 million and for employer’s liability up to £10 million. We provide complete risk assessments and method statements and we strictly adhere to all the requirements under the Health & Safety at Work Act of 1974. We also are well-versed in the commercial warehouse cleaning and light-industrial factories in Brighton and East Sussex, and we can offer you an initial, one-off deep clean service which will set the standard for the level of cleanliness that we will continue to maintain on a regularly scheduled basis. For our washroom and laundry services, we provide a complete range of fragrances, soaps, janitorial supplies, paper products, sanitary disposal bins for women’s hygiene products and nappies as well as vending machines that will be regularly maintained and stocked. We also supply entrance mats in an array of colours and styles, as well as bathroom roller towels and tea towels that will be regularly laundered and replaced. SmartClean is owned and run by Robert and Michelle Hearne who, from their Brighton office headquarters, have over thirty years of experience in the commercial cleaning industry. Together we set a standard of service in Brighton that makes SmartClean the clear choice for our regular commercial customers. The manner in which we manage our professional staff of cleaners helps to ensure the standards that have been learned by us over our years of experience can be maintained today with our valued customers. We also specialise in providing carpet, windowand washroom/laundry room services. For our carpets we use the powerful Ninja portable system of carpet cleaning. We also provide both dry-powder and hot water carpet cleaning. In our commercial window cleaning service we utilise the 'Reach n' Wash' water-fed pole system which enables us to clean windows up to 50 feet off the ground without having to use a ladder. For those jobs that do require the use of a ladder or other means to reach the windows, we maintain the utmost in safety precautions and perform a complete risk assessment before we undertake a windows contract. Our window team are also 'working at height' compliant safety rules, having been trained in the craft of window cleaning by the British Window Cleaning Academy. We have always found Smartclean accommodating and professional, their staff are polite and helpful.